( Size - 1.73 MB) ICT PHASE - III HAND OVER ORDER. Size -932 KB) ABOUT TRANSFER VAOUCER FEEDING SALA DARPAN CLASS 9-12 GIRLS. 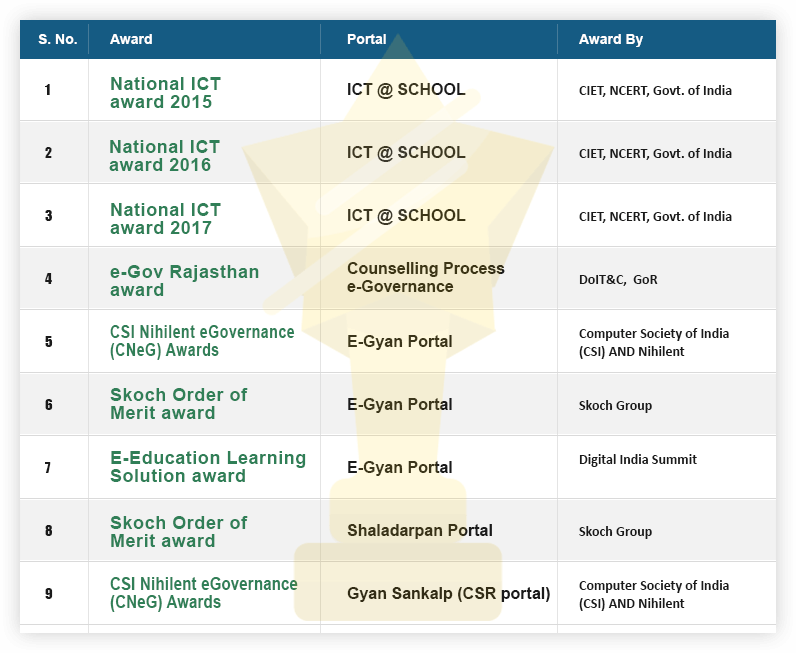 Disclaimer: NIC Rajasthan will in no way be responsible for the accuracy, currency and relevance or Information contained in the web sites of respective departments. All responsibilities related to the content of these web sites depend with the concerned departments.